At NOLS, part of the way our instructors continue becoming better educators is by taking time for personal and professional development. 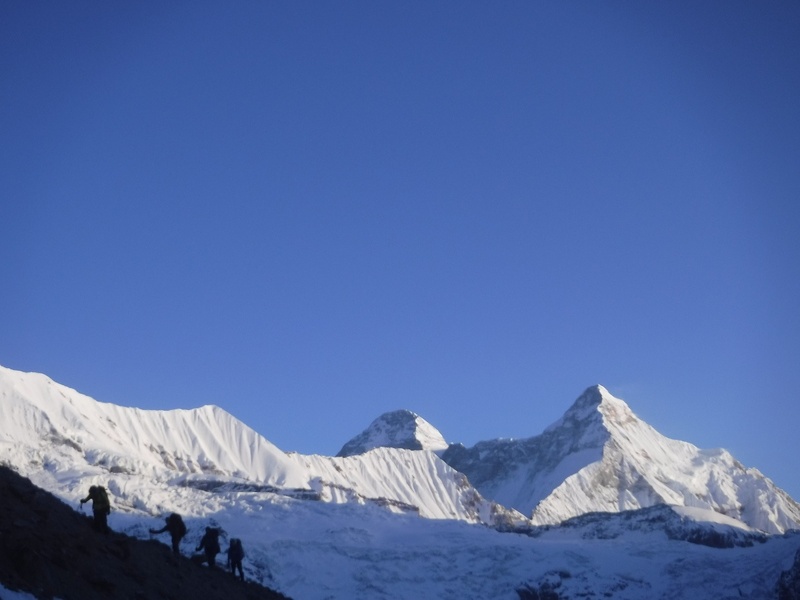 Each year, NOLS offers funding for development that includes earning certifications, planning big trips to remote places, and building adaptive leadership skills. 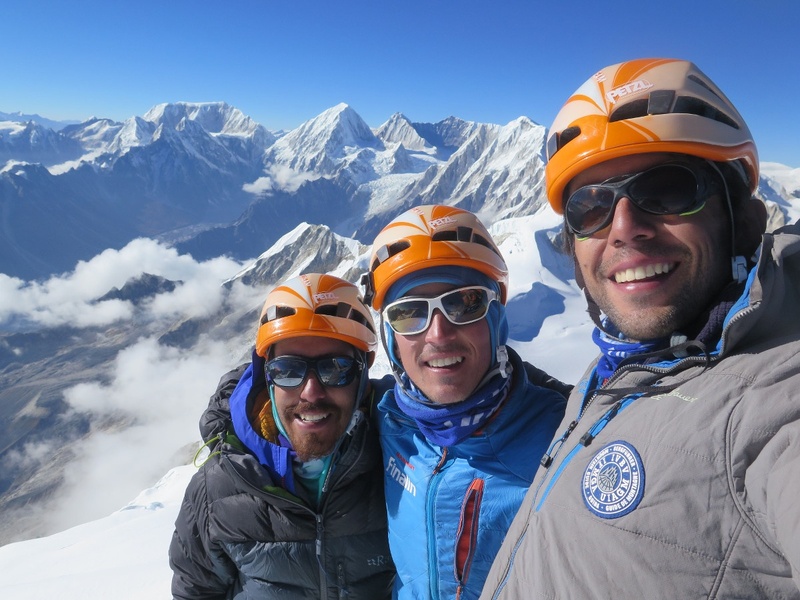 In 2017, instructors used this funding for things that ranged from restorative justice training to earning avalanche assessment certifications to venturing into the unknown by packraft in places as varied as Costa Rica, the Himalaya, and Alaska. While some instructor expeditions have been featured on the blog already, the stories in this post are all from expeditions we haven't gotten to share yet. When you read their stories, we hope you're as impressed and excited to dream about your own next trip as we are! Photo by SJ. Leia charging into an eddy on a skills day on the Buller. 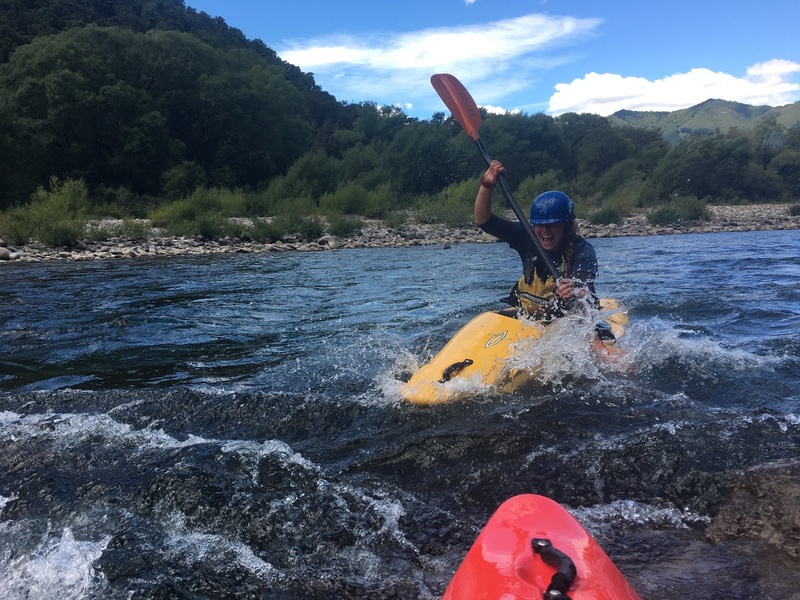 SJ and Leia spent ten days in Murchison, New Zealand river kayaking, exploring, and cooking next to a van named Kerianne along the Buller River. On this trip, the SJ took on the role of mentor and focused on coaching and honing skills, while Leia focused on developing her teaching techniques for kayaking. SJ: This trip reinforced the communication skills that make for excellent leaders. Each day, Leia and I would check in about our goals, how to support each other and whether the way we were “pushing” each other felt safe, appropriate and challenging. 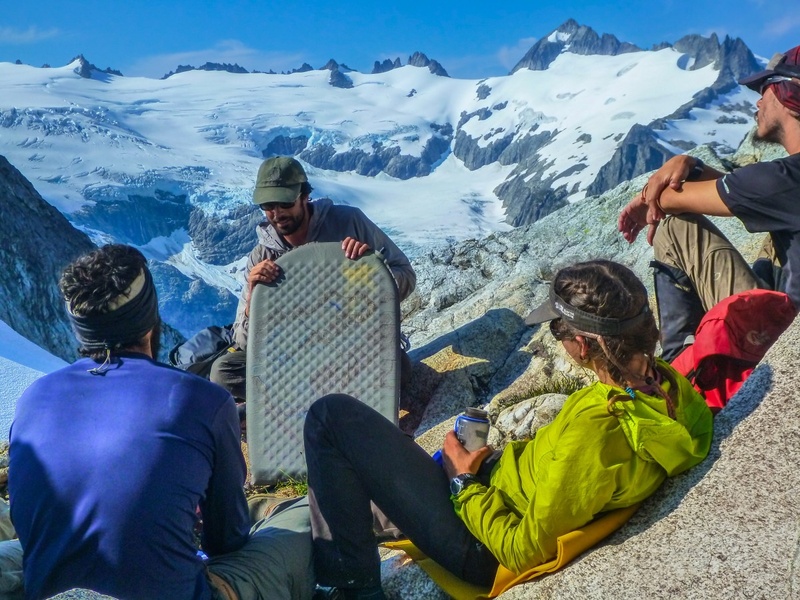 Without our shared vocabulary from NOLS and the structure we put in place for ourselves with our own version of a positive learning environment, we would never have gained all that we could out of this experience. Our communication spanned verbal and non-verbal, on-water and off, and I learned so much about creating space for professional development within a friendship. Leia: Not everything has to be the hardest, fastest, or most difficult choice. By taking things slow and making appropriate choices with the options we had at hand, we were able to build competence and create a space where we both could flourish. In doing so, we set appropriate challenges for ourselves, and were successful in developing our skills in an emotionally safe environment. Some nights, they shivered and simply waited for sunrise. 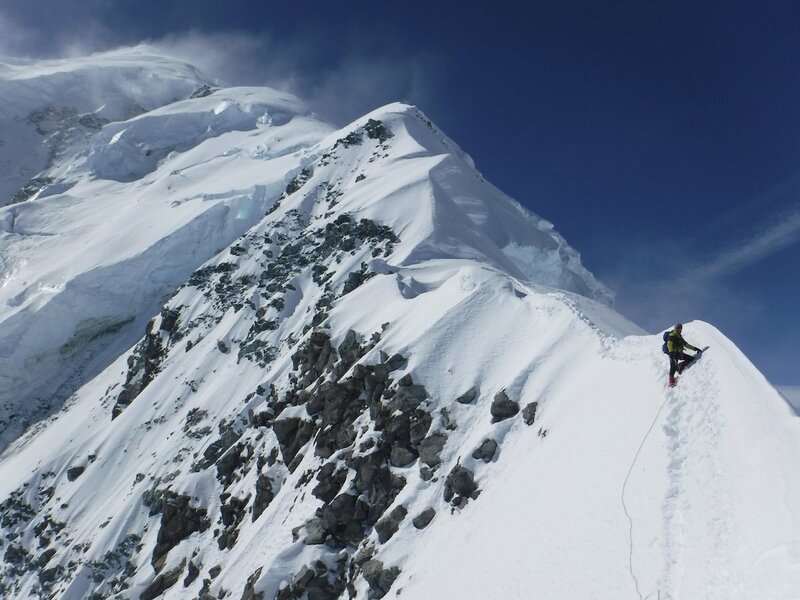 After they identified their route up the mountain, one unattempted by other climbers, they started the ascent. 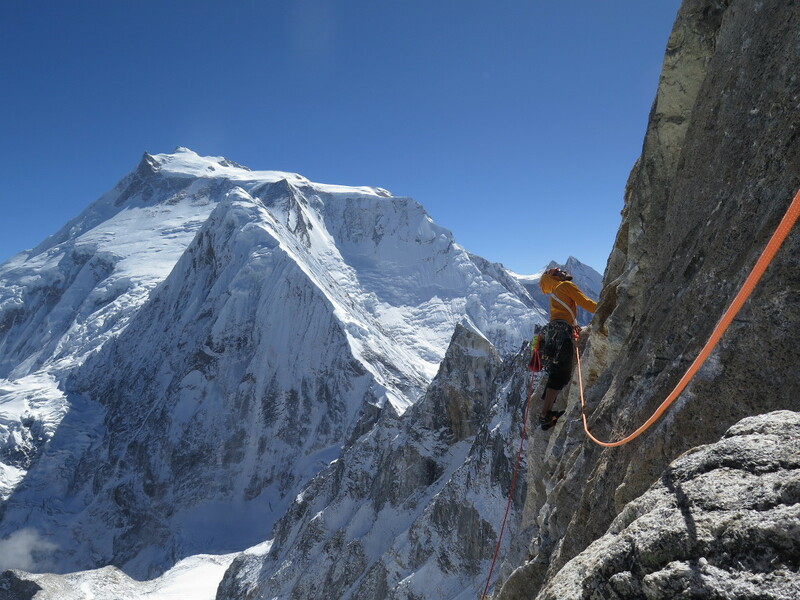 It took several days, including an overnight bivvy 700 meters up the wall. On the summit. Photo courtesy of Roberto Morales. After the training, she said “The RJ training shifted my perception about the possibilities and potential of moving further away from deficit-based conversations with youth about behavioral issues to strength-based, solution-oriented conversations emphasizing support and compassion.” Restorative justice is being used in various school districts to disrupt suspension/expulsion cycles and the school-to-prison pipeline that disproportionately affects students of color. One takeaway was the format of a restorative justice circle, which involves four stages to set intention, foster ownership, and build empathy between participants. Opening: Some small ceremonial way to make the beginning of the circle like lighting a candle, reading a quote or a moment of silence. Agreements/values: similar to a PLE, but specific to a particular conversation. Intro a talking piece whose purpose is to create an equitable environment for sharing. Check-in: Physical, mental, emotional levels. Discussion Rounds: The topic at hand. Check-out: How are people feeling at the moment the circle is ending? Closing: poems, quotes, appreciations, guided meditation, breathing exercise. Crossing a snowflat with packrafts. Photo courtesy of Chris Bruno. 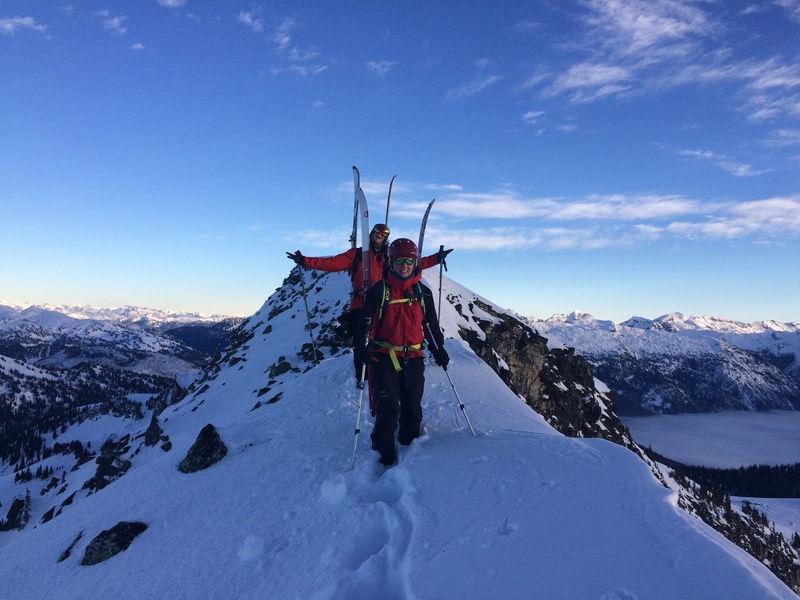 The team completed a successful 25-day traverse of the range from the outer coast (20 miles north of Lituya Bay) to the Chilkat River just upstream of Haines. The traverse was done via hiking, skiing, and packrafting. The greater Fairweather Range is characterized by a combination of steep and high peaks, huge glacier systems, fickle weather, and a remote and wild feel. The team at the end of the trip. Photo courtesy of Chris Bruno. Gear efficiency: The multi-modal aspect of the trip meant we had several sets of equipment requiring creative uses to minimize the amount of gear we carried. These included: rigging skis and sharps on the packraft, dragging packrafts as sleds, using trash and ropes as raft backrests, boosters and bulkheads, schwacking wearing rigid ski boots and carrying skis. Sharing the team’s skills: The skill niches of individuals allowed for a change in risk management leadership between skills, it empowered individuals to manage team risk and responsibility for specific sections of the trip. It also made accessible more technical terrain to the entire team without requiring everyone to have high proficiency across all skills. Photo courtesy of Amy Whitaker. Amy spent 8 days earning her Canadian Avalanche Association, Avalanche Operations Level 1, followed by a bonus week of training with the staff at the ski operation that hosted the course, Monashee Powder Snowcats Operation, near Vernon in British Columbia. A rescue exam as soon as she arrived at the course: locate and dig out 2 transceivers in less than 5 minutes. Daily morning meetings to assess the current conditions and assign a danger rating. During the additional staff and guide training, Amy remembers “I was able to immediately put into practice everything I learned and think that I ended up digging around 30 snow pits in 2.5 weeks—in fact, I dug so many my shovel broke! Photo courtesy of Caitlin Rex. “Amy and I spent a week in November paddling and camping along the beautiful coastlines of Isla Carmen and Danzante in the National Marine Park of Loreto in the Sea of Cortez. Our intentions for this trip were slightly different, but complementary. 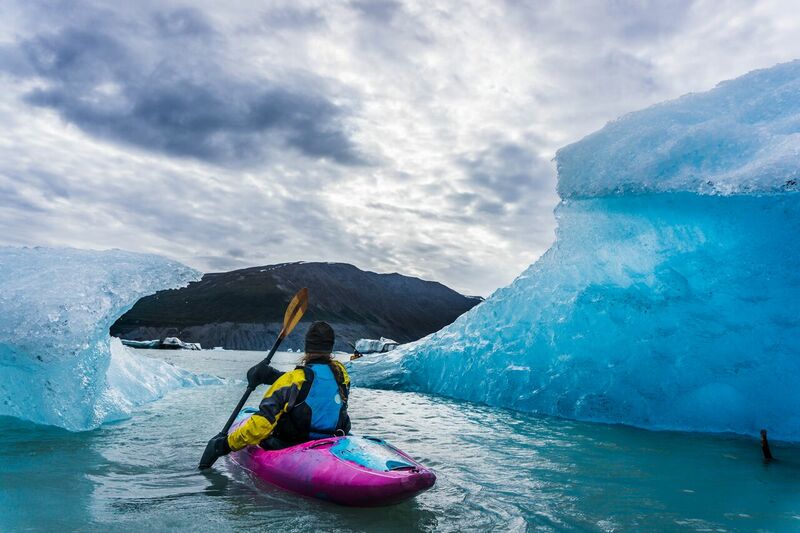 As a new sea kayaker, I was excited to simply spend more time in a boat and have the opportunity to build my seapersonship, risk management and technical skills. 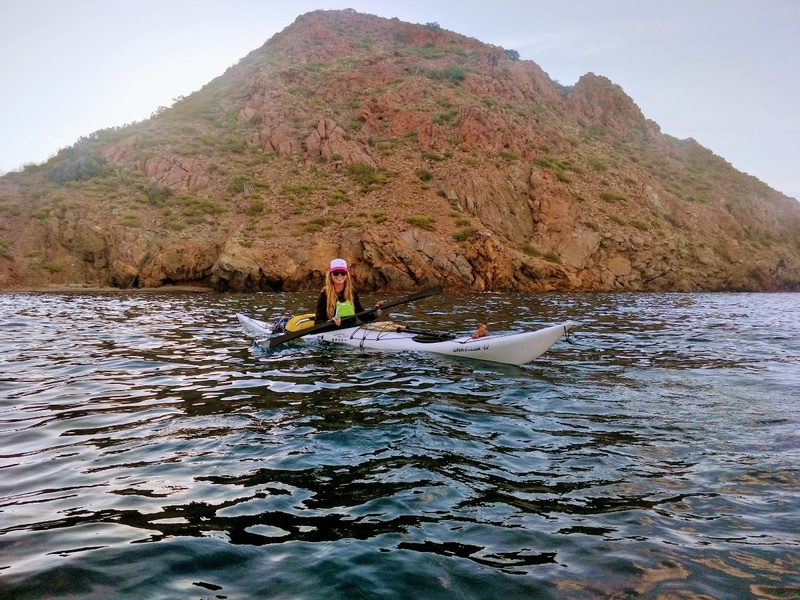 Amy, a more experienced sea kayaker who was familiar with the area having worked for the school in Mexico, was excited to take on the responsibility of being the primary trip planner and risk manager while coaching and teaching me along the way. “We busied our days crossing channels, practicing rolling, taking advantage of the wind and wave conditions the Norte (the prevailing local weather system) provided to practice rough water rescues, snorkeling, exploring the beaches, cooking delicious food and soaking in the essence of the magical place that is Baja California Sur. 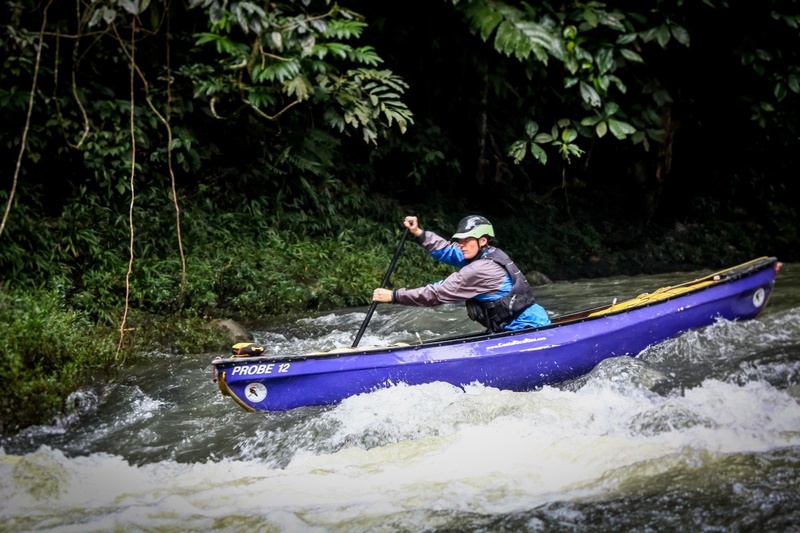 In December 2017, Pam joined a group of people paddling canoes, kayaks, and paddlerafts organized by Precision Paddlesports in Turrialba, Costa Riva, to spend 8 days working on her whitewater canoeing skills. Local outfitter Costa Rica Rios provided the logistical support for them to paddle Class II to Class IV sections on the Rios Pejibaye, Sarapiqui, and Pacuare. "Leaving the Juan Santamaria airport heading to Turrialba, Costa Rica I noticed and enjoyed the sensation of how much uncertainty comes along with travel. This was my first time paddling outside of the U.S., and I wondered what the river would be like. I traveled to Costa Rica primarily because the boating season there corresponds with the slower winter season in snow-gripped Utah, where I run the NOLS River Base in Vernal. Spending time in jungle environments thrills my desert-tuned senses. Life springs forth from every centimeter it seems. Blue Morpho butterflies, leaf cutter ants and sloths added to the Costa Rica personality I came to know. Paddling in a new environment with a group of mostly strangers allowed me to practice a variety of skills. For example, if I'm not careful, it is really easy for me to set aside my own goals when I am in a group setting. Being agreeable and supporting other people can sometimes go awry for me. On days the conditions were appropriate for me to canoe, I had to practice courage to stay committed to my goal of canoeing. I was the lone canoeist among the group of kayakers, so I worked on self-leadership by practicing courage and speaking up for my needs. Most folks in the group had not been around whitewater canoes much, and it felt great to receive their curiosity and eager support as I paddled hard enough that I swam, missed lines, paddled tricky spots, and got into tough situations that required help from others. And when we weren't paddling, my new practice of learning to discern and follow things that bring joy into my life produced deep conversations with my peers, eating pineapple with pickled jalapeños at lunch, and identifying new birds. 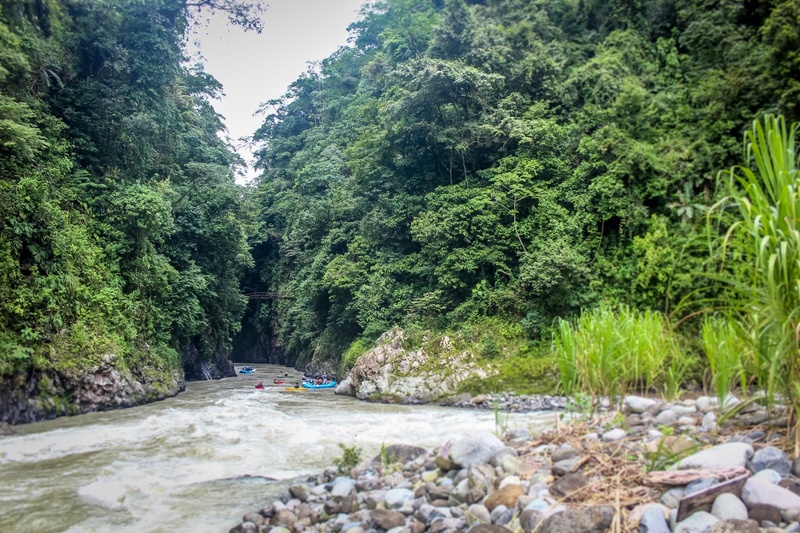 The fourth day on the river in Costa Rica, we paddled a higher volume section of river and I chose to paddle an inflatable kayak. The conditions on the river pushed my skill level. I kept wanting to play it safe, choose easy lines, and demonstrate what I already knew how to do to my peers, but instead I paddled hard enough that I swam three times that day. I worked on offering myself assurance that I belonged with this group, recommitting to pushing my paddling skills, reconnecting to the joy of a big warm water swim, even though it was hard to stay in a learning mindset as I worried about slowing my group down and feeling embarrassed about being at the edge of my skill level. Being in that active learning environment on the trip continues to unfold in life back here in Utah. 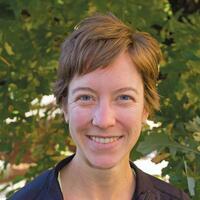 When I'm on a course, I see that NOLS students feel similar things every day. Experiencing this myself builds compassion for and connection to the student experience. Paddling the warm waters of Costa Rica refreshed the joy I find in trying hard things with groups of people I care about. As a NOLS instructor, role modeling this joy and eagerly experimenting with techniques to inject it into the NOLS groups I am part of continually feed and motivate my efforts. Driving back to the airport I remembered my first-day curiosity about what the river in Costa Rica would be like. Of course, it was like any other river. It turns out that decoding what the river is doing is the same no matter what language the humans are speaking. Human behavior dictates that any time you spend outside with other people doing hard things has the potential to transform us, if we let it. Many thanks to my family, a haphazard band of adventurers themselves, for supporting my absence and cheering me on."